This hairstyle is about as punk as it gets. 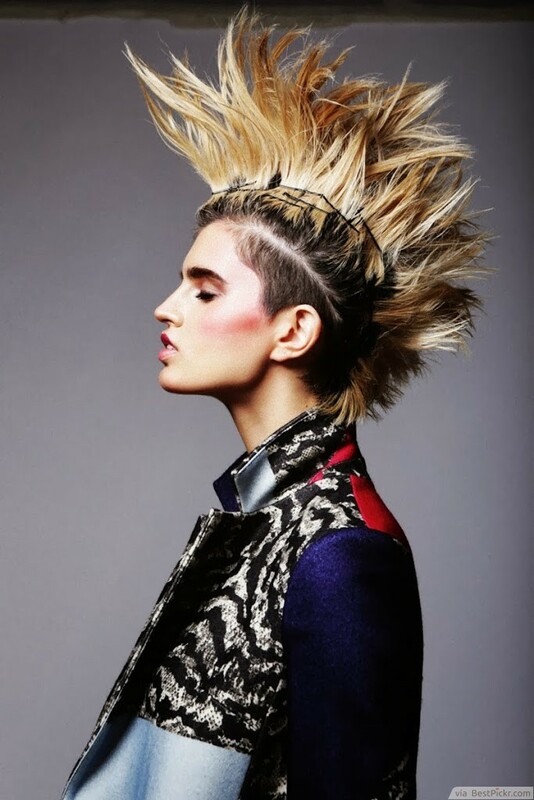 A bleach blonde Mohawk screams for attention, so if you’re looking to make a bold statement-try this look. The most interesting thing about this haircut is how incredibly versatile it is. The hair, if it isn’t styled, would be a stacked bob that was cut between chin-length and shoulder-length. The sides are only shaved 1-2 inches past the natural hairline which could easily be hidden. If you work in a professional setting, but still want to be able to flaunt your Mohawk when you feel like it, this is for you.